A little late for starting an advent calendar, eh? So, this year, I am so "on it"...here is is again! Maybe a little project to play with this weekend? I have made a few little updates/tweaks. if you are, I still love you...but I am not. Generally, after the kids attack the tree, I add my touches, the garland, crystals, gems, and snowflakes. My fondest memories are of decorating our tree and my mom let us do pretty much whatever we want. I have adopted that attitude...for now. One day these kids will have their own tree and then it is my turn! the little one wants her own calendar. the kids are infatuated with decorating the tree. The little one take ornaments off just so she can put them back on. A new advent calendar that involves hanging things on the tree for 25 days! DecoArt American Acrylic in Ebony...OR...UPDATE: If I was making these again, I would now use DecoArt Chalkboard Paint. There are so many ways to personalize this and adapt this project to your liking. Use different images, different colors - you name it! 1. Paint each basswood Board with the ebony/chalkboard paint. UPDATE: If using chalkboard paint, paint; Let dry and cure according to the directions; rub chalk all over; wipe off; prep for numbers. 2. Measure out the squares for the numbers - I made my numbers 3" x 3" - that yielded 8 numbers per board - and cut into equal pieces. This process leaves rough edges - the Basswood is so light and thin that it tends to crack when cut. This was not my intention, but it also did not bother me - Rough and distressed makes me smile. 3. Sand all edges with the Sanding Bug to remove sharp edges and rough patches. This also gives the edges a distressed look, which I ended up loving. (NOTE: You can cute the boards first and then paint for a less distressed look). 5. Print out your font in a size that you prefer (one that fits on the 3x3 square). A. Cut out the numbers/dates. B. Take a pencil and on the back side of the print out, rub pencil lead using the side of the pencil on the lines of the font. C. Then flip over position on the square, correct side up. D. Using the pencil trace the lines of the numbers/date. You get a faint outline of the date in the font you desire. E. Then use the paint pen or you paint and a paintbrush and go over the numbers. Let dry. 8. Once dry, distress the edges of the numbers by running them through the ink. 9. Once the number side is dry, add the image to the back. Cut/trim/tear image to size; apply a thin layer of decoupage to the back using a foam brush; apply image; apply another layer of Decoupage over the image and let dry. 8. Once dry cut ribbon into lengths of about 10" (it can be longer or shorter). Thread through, from the back side, into each hole. Knot on the front side and you have your hanger. meaning just the numbers on one side or you can add a touch of vintage magic. I know Jules will love this new "flip-flop" addition! I was also thinking that one day my kids will grow up, and I won't l need an advent calendar, but then I can just flip these guys around and still have those memories too. 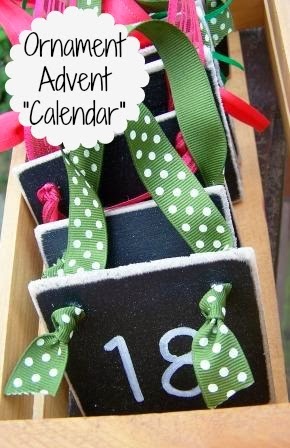 Do you use an advent calendar? Any special traditions that go with it? I am taking a few days off! I'll be back for Tickled pink on Friday! I love this idea- what a great job! I just love this project. It turned out lovely! Thank you for stopping by Home Sweet Butterfly. I really appreciate it. Happy Thanksgiving. This is such a lovely idea for an Advent. Have a great few days off, Happy Thanksgiving. This is amazing Holly. I'm um..well not so ready?! This is so cute! We don't have an advent calendar, but I have such fond memories of our when we were little. I really should make this! 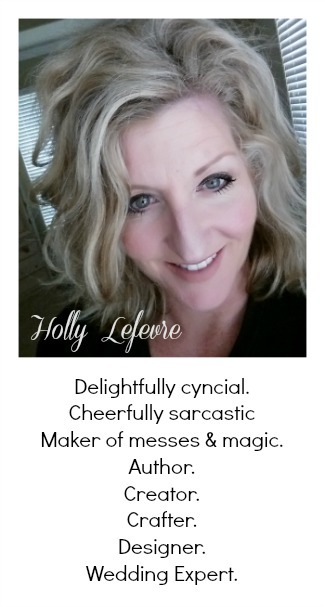 Thanks for sharing, Holly! Hi! I haven't "seen" you in a while. I love the advent calendar. I quit putting one out when the kids left home, I should do that again. I am a fussy, everything has its place tree person. But, when my kids were home (or even if they came here for Christmas) I had two trees. A family tree and a fussy tree! I absolutely love this idea Holly! Such a cute idea Holly! My boys look forward to the advent calendar every year. Hope you had a blessed Thanksgiving holiday!